Being a business owner carries different responsibilities, may it be for their employees, society, and the environment. One of the essential things that business owners should focus is to have an enterprise that is beneficial for the nature. Entrepreneurs can integrate a wide variety of eco-friendly ideas into their companies, such as installing solar panels. In the Philippines, several methods in making businesses more eco-friendly is becoming widely popular. 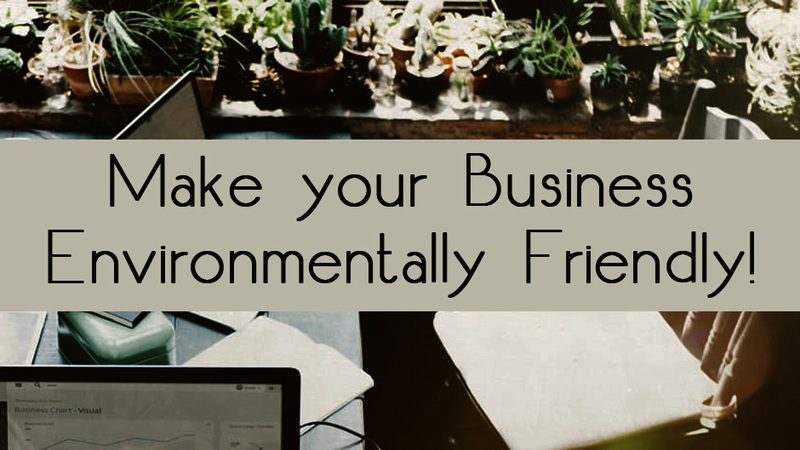 Here are some of the simple ways on how to make an environmentally-friendly business. Communication has definitely come a long way, and paper-free is the way to go. Email and messenger apps are often used to communicate with co-workers and clients, even if they’re just right acros the room. Have your company announcement done through your email instead of printing hard copies. Communicating online is also best to keep those who work from home in the loop. Cloud computing is one of the greatest innovation in the past few years. This technological advancement is absolutely beneficial to both people and the environment. Since cloud computing allows people to access their data and files through mobiles devices, businesses do no need to purchase large server equipment, which uses more electricity. Cloud computing also enables your people to access and share information anytime and anywhere. With this, it reduces the need to print hard copy of their documents and reports. One of the many benefits that employees fully enjoy is the work-from-home policy. This is not only beneficial for your employees but for the environment as well. How? When you allow your employees to work from home even just a few times a month, it will reduce the electricity consumption of your office. It also saves employees from having to go through traffic, which decreases the use of vehicles and reducing their contribution to the greenhouse gas emissions and their carbon footprint. Eating organic and naturally grown food is one way to have a sustainable lifestyle. As much as possible, advice your cooks to only cook organic and natural food. You can also practice meatless Monday in your office because eating less meat can be beneficial to the environment, as animal agriculture largely contribute to the production of the greenhouse gases worldwide. Recycling is definitely the first one that comes to mind when you think of switching to sustainable lifestyle and be an environmentally friendly citizen. Simply put up recycling bins in your office to encourage people to start disposing biodegradable and non-biodegradable trash properly. You can also launch the 10-step recycling plan to fully develop and execute an effective recycling program in your office. Being environmentally friendly means living a life that is better for the environment. Making your business environmentally friendly is absolutely a good contribution in making the world a better place to live in.